San Francisco, California – Success Wizard, Inc. has released a complete redesign of its comprehensive life coaching system recommended by iPhone and iPad users worldwide. 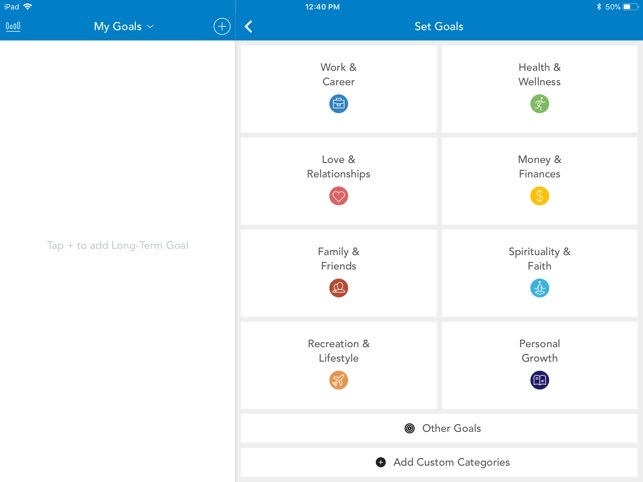 The unique app was designed to help people develop a plan and accomplish their most important goals, track their progress, and make positive life changes. Success Wizard, Inc. develops empowering and effective online programs and mobile applications to help people change, grow, and enrich their personal and professional lives. Founded by Yuval Goren, the innovative platform delivers complete and structured personal development programs, and a set of interactive tools that educate, guide, and support users that are looking for more clarity, meaning and prosperity in life. It also creates apps for personal development gurus, prominent authors, speakers, and seminar leaders, as well as coaching and training organizations. All Material and Software (C) Copyright 2018 Success Wizard, Inc. All Rights Reserved. Apple, the Apple logo, iPhone, iPod and iPad are registered trademarks of Apple Inc. in the U.S. and/or other countries. Other trademarks and registered trademarks may be the property of their respective owners.